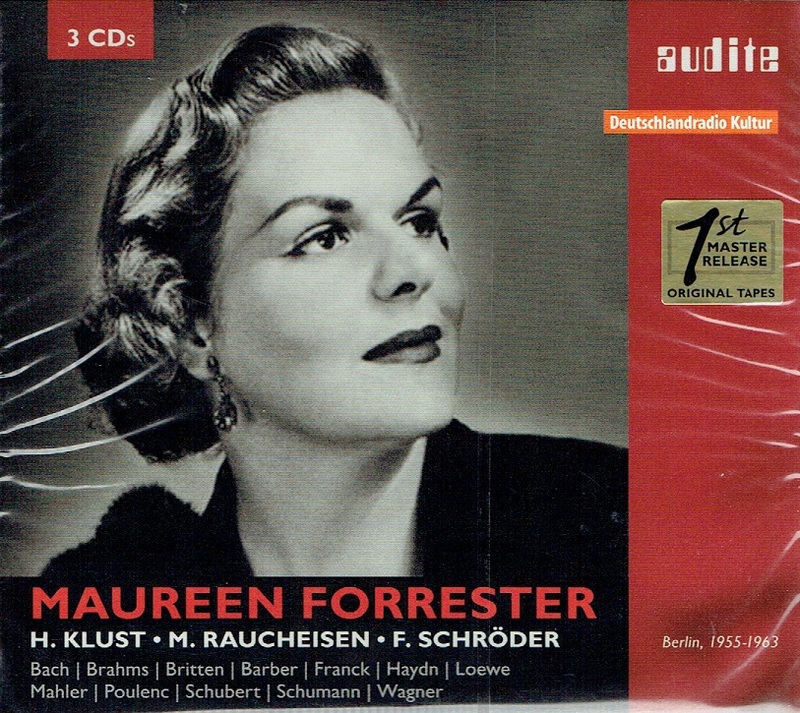 Maureen Forrester was one of the few renowned alto singers during the period after 1945. In her singing, fullness and euphony of sound was combined with an extraordinary beauty of line and expression of the very greatest refinement. Encouraged and supported by Bruno Walter, she became one of the most important Mahler interpreters of her time, performing with all the great conductors from Fritz Reiner to Lorin Maazel and from George Szell to Zubin Mehta. 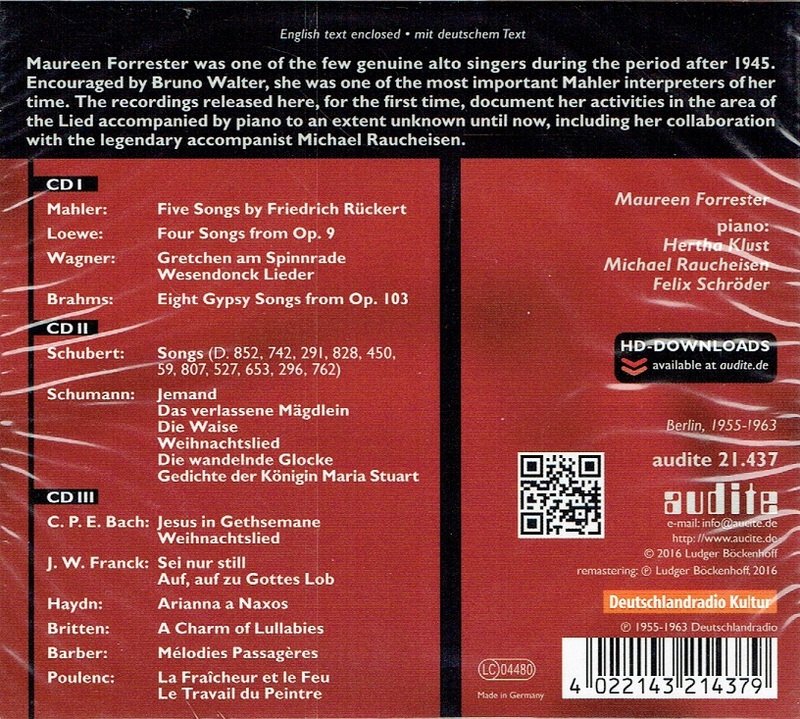 These recordings, released here for the first time, document her activities in the area of Lieder with piano accompaniment to an extent unparalleled elsewhere and include her collaboration with the legendary accompanist Michael Raucheisen. 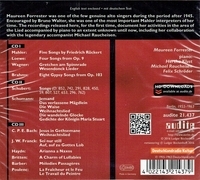 The repertoire ranges from the pre-Bach era and central contributions to the genre - by Schubert, Schumann, Brahms, Wagner and Mahler - to Britten and Poulenc."